Wild Turkey Straight is the flagship of the Wild Turkey distillery. Authentic Kentucky bourbon, expertly crafted by Kentucky Bourbon Hall of Famer, Eddie Russell. The spirit is aged for longer than most other bourbons, between 6-8 years giving a rounder and more complex taste. 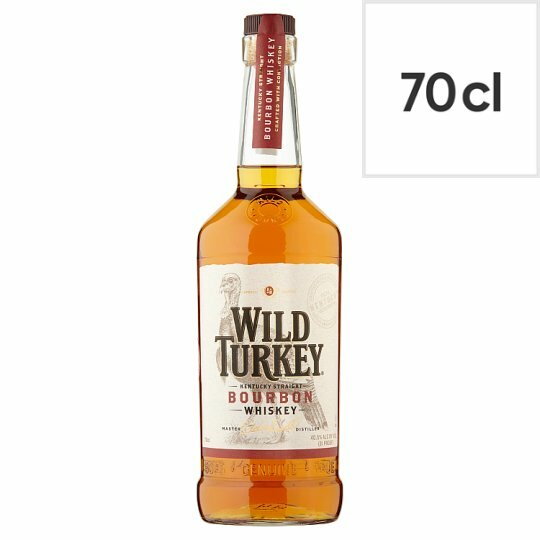 Bold notes of sweet vanilla, pear and hints of spice, Wild Turkey finishes with a flavour that is full and rich, whether enjoyed straight or with a mixer.